I have to be honest, when I was trying to think of all the confessions/proposals that I've seen through my Kdrama history, I realized that I couldn't remember very many. I think that's because a lot of the romance happens to so gradually that a confession isn't really necessary or that because so much has already happened between the leads that it's not really that memorable. As far as proposals, they're typically thrown in at the end of a drama and are often rushed. It could also be a matter of my memory. But either way I was left with just a few memorable confessions/proposals that I could remember. So ultimately the confession/proposal I chose was from In Ha in Pinocchio portrayed by Park Shin Hye. I'll give most of the credit to this being my favorite confession to Choi In Ha's Pinocchio Syndrome. The fact that she can only tells the truth not only makes her character refreshing, but also eliminates for the possibility of sooo many Kdrama clichés including denying one's feelings or lying to the other person about your feelings for them. In Ha can't do this. As soon as she realizes that she has feelings for Dal Po she knows she has to tell him. Even though she knows how complicated it makes thing with the fact that he's her adopted uncle. In contrast Dal Po has been harboring feelings for In Ha for some time but has never told her and in fact treats her coldly. Yet, we don't have to wait 15 episodes for In Ha to acknowledge her feelings. She realizes that she likes Dal Po as more than just her uncle - wow that sounds a lot more creepy than it is - anyway, she realizes she likes Dal Po and she tells him. She acknowledges that it's weird and tells him she'll try to get over him. In Ha is very cool about it. I love that she doesn't let her Pinocchio syndrome get the best of her. Even though, it makes her do these really awkward things she acknowledges her feelings and moves on. She doesn't dwell. You've got to love Dal Po's reaction to this situation because he's got so many mixed emotions. On the one hand, he finds out that the girl he likes like him back and he can't believe it. He's harboring this secret crush that he thinks could never be possible, but he was wrong. She likes him back. You can see that he wants nothing more than to take her in his arms and kiss her. But at the same time, he knows he can't tell her how he feels. Firstly he promised In Ha's dad he wouldn't make the moves on her and also In Ha's mom pretty much ruined his life and he has a difficult reconciling that. So instead of getting to tell her how he feels in reply he just has to awkwardly stand there and try to keep his emotions restrained. Then he has to watch as she tries to get over her feelings for him, even though he doesn't really want her to. Thankfully he only has so much self-control. Eventually, he decides he can't keep his feelings to himself anymore and his confession isn't so much in words but actions with a startling back hug and then a beautiful kiss in the snow. Ahhh...you can't help but adore this darling couple. Anyone else appreciate the honest and upfront approach to In Ha's confession? Any other confessions/proposals you loved? If you've been missing out on my 31 day Kdrama challenge so far, you can follow along with this link. Hope all is well with my friends out in the world today! Enjoy your weekend!!! Favorite love triangle, I feel like that's almost an oxymoron because they cause me so much sadness and stress. However, there still is that sadistic part of me that loves them. I'm a notorious second male lead advocate, so love triangles usually end in heartbreaks for me. The love triangle that I chose as my favorite I chose for a number of different reasons, not the least of these that end there was very little heartbreak and no hard feelings (that doesn't mean that there wasn't major emotional struggle along the way). So without further ad I'm pleased to announce my favorite love triangle is between Yeol, Yeon Doo, and Ha Joon in Cheer Up! aka Sassy Go Go played by Lee Won Geun, Jung Eun Ji, and Ji Soo respectively. So this is the 3rd time Cheer Up! has shown up during this challenge. Considering the number of dramas I've seen, this should be seen as a testament to what a great drama it is. If you haven't watched it yet, you should go do so! And maybe also stop reading because I'm going to drop some spoilers.Also a testament to how brilliant I find the story telling is the ridiculous number of memes I've devoted solely to this love triangle. There are so many great things about this love triangle that I don't even know where to start. Okay, let's start with our leads. From within a few minutes of this drama, I was convinced that Yeon Doo and Yeol were meant for one another. Their chemistry was off-the-charts and they were completely adorable together. Better yet, they actually brought out the best in one another. I had never been so certain before that two characters were soulmates. I figured there would be no conceivable second male lead that the writers could come up with that would make me waiver even the slightest. But then cam Ha Joon. While I was vigilantly watching out for a potential second male lead in Yeon Doo's best friend and was wary over the introduction of someone new who might fancy her, the writers snuck in a second male lead right under my nose. In the beginning of the drama, you are lead to believe that Ha Joon is nothing other than Yeol's best friend. He's got a temper and he's cold and he's nowhere near the realm of romantic interest. But then you learn a little about his past and start to sympathize with him and then BAM! 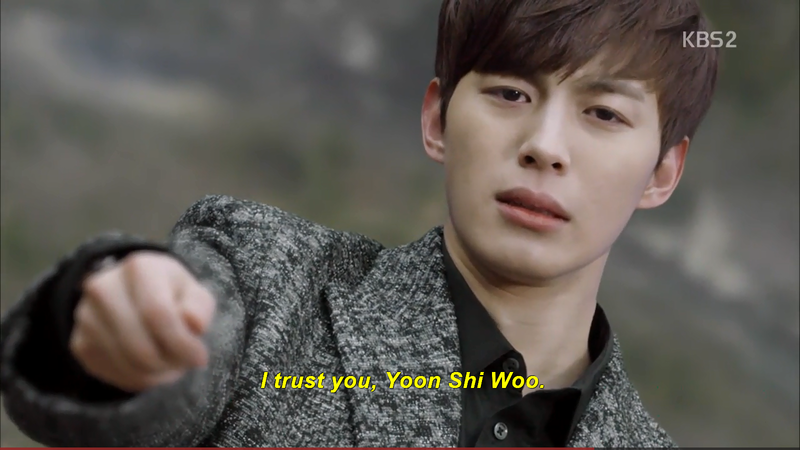 all of a sudden you realize he has feelings for Yeon Doo and there he is as a tortured but tender second male lead. Typically at least one of the potential romantic interests is a jerk so you can justify not liking them, but in this case neither was. 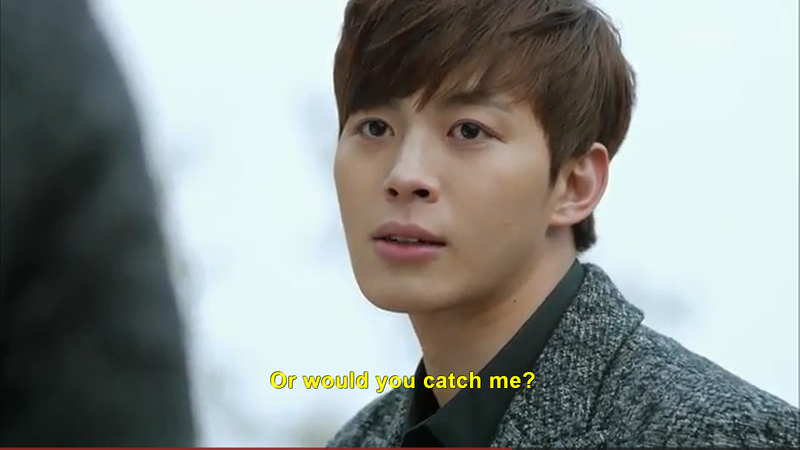 They both cared a lot for Yeon Doo and that was what made this love triangle so tortuous. Yeol and Yeon Doo had fireworks, that was obvious. But Yeon Doo was the first one to break through Ha Joon's hard outer shell and make him enjoy life. Yeol made his affection a little more obvious, openly flirting with Yeon Doo - he couldn't hide the fact that he was smitten, nor did he want to. Ha Joon, knowing his friend's feelings, tried to keep his own feelings hidden. But when Yeon Doo needed someone to defend or rescue her, Ha Joon was always the first to step up. It became pretty obvious to Yeol that his friend seemed to be scoping on his girl. The scene that got me the most was when Yeon Doo goes missing. She's walking down the dark road in the middle of the woods late at night all alone and she's scared. It's Ha Joon who finds a bike and takes off searching for her. He's the first to find her and upon seeing him she looks at him as a savior, so relieved to see him. She grabs onto him and he holds her as she cries and he cries a bit too out of relief that she's okay. A lot of second male leads have a tendency to be pushy with their affection but Ha Joon isn't. She held onto him first and he holds and comforts her. In the end, I stood behind Yeol and Yeon Doo as my OTP. You couldn't deny their fireworks or the fact that Yeol had an absolutely amazing track record when it came to taking care of those he cared about. Most importantly it was obvious that Yeon Doo was head over heels for Yeol as well. 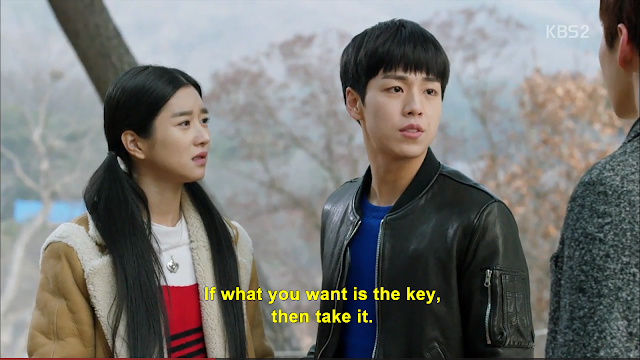 Ha Joon needed Yeon Doo to get him to open up to the world, but he had a lot of emotional trauma that he needed to confront before he was ready for romance. Even though it's painful for him to watch Yeon Doo and Yeol at first, he's grateful for the experience of liking Yeon Doo. Even though he does confess, he doesn't expect her to reciprocate his feelings. His life was changed from just being able to have the opportunity to like Yeon Doo and I think that's adorable. So we end with Ha Joon on good terms with both Yeol and Yeon Doo. He's happy for them and harbors no bitter feelings. The three of them are still good friends along with the entire cheer team. I have never seen a love triangle resolved so amicably and I'm so thankful for it because this was one that I don't think I could have emotionally handled to see go south. Personally, I am really amazed at how the writers managed to create such a powerfully emotional love triangle that made me feel all the feels and yet end it without any collateral damage. If anything, the love triangle only helped them in their growth. So for the millionth time, Cheer Up! is an adorable drama and Yeol, Yeon Doo, and Ha Joon provide the fodder for the best Kdrama love triangle of all team. What do you guys think? Did you love this triangle? Anyone out there that couldn't stand it or thought Ha Joon should have gotten the girl? View each of the 31 days of this challenge so far here. Back to the drama that started it all for me. Thinking about my favorite secondary couple, it was hard. Mainly this is because a common trend in dramas is for the second leads to become romantic interests for each other right at the end of a drama. While there were a few of those couples that I was cheering on, I didn't feel right counting them as a favorite couple since their romance was so new and we didn't know much about it. So after some consideration, I chose a couple whose relationship we got to see develop over time with ups and downs and character development. That couple is So Yi Jung and Ga Eul from the Kdrama classic Boys over Flowers played by Kim Bum and Kim So Eun respectively. I liked Ga Eul from the beginning. Unlike a lot of Kdrama 'besties', she was actually a good friend to Jan Di. She's a sweet girl and like Jan Di, she doesn't come from money. She's honest and hard-working and the exact opposite type of girl that the smooth 'Casanova' Yi Jung would typically go for. Their relationship begins as completely platonic on both ends, even though Yi Jung is a flirt as always. Ga Eul has a boyfriend and Yi Jung has many, many women to choose from. But after Yi Jung helps Ga Eul get over her no-good ex-boyfriend, she begins to have real feelings for him. He rejects her affection at first. He thinks she's too good for him. Good in the sense that she is a sweet and honest person and he's a womanizer from a dysfunctional family, albeit a rich dysfunctional family. Even more so than Jun Pyo and Jan Di, this is the classic 'good girl' taming the 'bad boy'. For me, what makes you want to root for this couple is how sweet Ga Eul is. You want to root for her, you want her to get the guy. You want Yi Jung to turn from the endless sea of women at his feet and look at the devoted one he has by his side. And best friends who are dating best friends - how fun is that? They're meant to be. It was frustrating at first when Yi Jung doesn't return her feelings, because you can just tell that these two are perfect for each other. It's even worse when he leaves and things are left unresolved between them. But in the end when he comes back to her, all is well with the world. Does anyone else think this classic Kdrama couple is as adorable as I do? Any other secondary couples you loved? follow along with all the favorites and bests of the 31 day Kdrama challenge here. 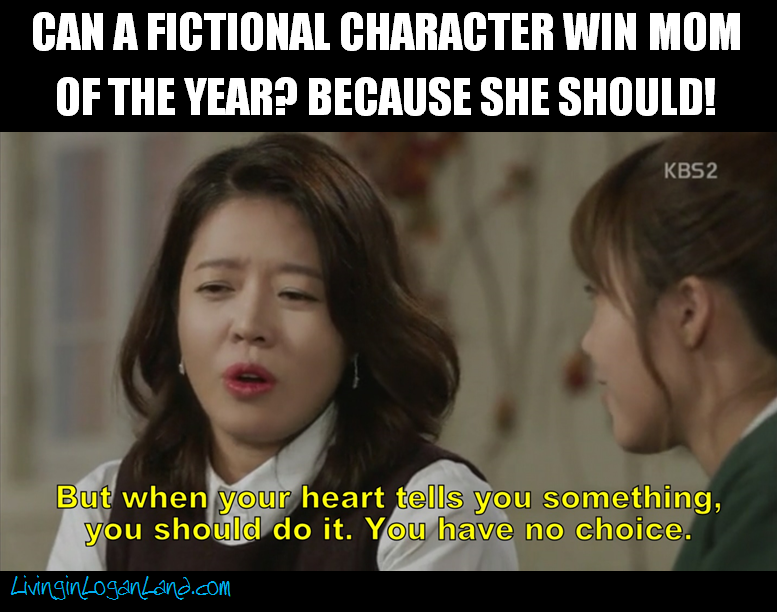 There are so many awful parents in Kdramas that this was a difficult one to choose. Ultimately, I chose the parental figure that gave me the strongest feeling of hatred upon remembering their character and that was Young Ja from Hundred Year Inheritance. Now this is another longer, more obscure Kdrama so let me give a brief summation of the plot: Chae Won is an unhappy housewife. Her husband is cold and abusive and her mother-in-law is cruel and demeaning. Eventually she's had enough and tries to divorce her husband, but her mother-in-law has her sent to a mental instruction so that she can't. She manages to escape with the help of Se Yoon, a chaebol who meets Chae Won when he visits his friend and eventually realizes Chae Won shouldn't be there. Once she escapes Chae Won divorces her husband and returns to her family home and to the noodle factory that her grandparents run. Together along with the rest of her family they turn the noodle factory into a successful business once again and Chae Won and Se Yoon help each other heal from their difficult past relationships. This is one of those 50 episode daily dramas. I know a lot of people avoid them because the number of episodes seems daunting, however in my experience the character development is so much more rich and the romantic payoff so much more rewarding in these dramas. That's my little PSA for why you should give them a chance, but now let me get into why I chose Young Ja as WORST parental figure. Young Ja is Chae Won's mother-in-law. She allows her son to marry Chae Won only to make him happy, but never intends to allow Chae Won to be part of the family. From Day 1 she takes steps to make sure Chae Won doesn't get pregnant and refuses to acknowledge her in public or to others. She allows her husband to be abusive and cruel to Chae Won and still acts as though Chae Won deserves all the cruelty she receives. Yet when Chae Won tries to get out of the toxic situation, Young Ja has her locked in a mental institution. That's really what made me despise her. Watching sweet Chae Won stuck in an institution was heartbreaking. What was particularly devastating is that Chae Won has this big family that really adores her. Her father, grandparents, uncles, aunt, and cousins would do anything for her and yet they don't even know what's happening to her. It was evil enough that Young Ja treated Chae Won so despicably, but even once Chae Won gets free of her grip, Young Ja still won't leave her alone. She shows up at her house all the time to alternatively threaten and bribe her. All the while she completely spoils her own children. I feel like I can't really put into words house despicable this woman is, but trust me. She's awful. Has anyone else seen this drama and is willing to corroborate how awful she is? Any other horrible parental figures that you've seen in Kdramas? Follow along with my 31 Day KDrama challenge here. So as I was thinking about all the Kdrama dads I've seen, I noticed a cool trend. When narrowing it down to the best Kdrama dads, I realized that nearly every one of the dads on my shortlist was the character's adopted dad. I think it's really cool that Kdramas portray adopted dads as equally or even more so protecting and loving than biological dads. It goes to show that DNA isn't what makes a father but choice and character. Considering the stigma that some Koreans have about adoptions, I really love this. So when it came down to who I thought was the best dad, I chose Jo Saeng from The Scholar Who Walks the Night. He does turn out to be Yang Sun's adopted dad but there's no arguing about the amount of love he has for her. He loves her so much that he sacrifices his own life for her. This was especially poignant to me in this drama. There are other male figures in Yang Sun's life that claim to love her including the Night Scholar and the Crown Prince. When Yang Sun is imprisoned and tortured these men that claim to love her sit there and watch and later even accept the fact that she might have to die in order that everyone else be saved. Granted, they think they are the ones making a sacrifice for the greater good of everyone by losing someone they love. However, to Jo Saeng, his daughter comes first. He confesses to a crime he didn't commit and even ends up sacrificing his life in an effort to keep Yang Sun safe. Honestly, I can't rewatch even a minute of the scenes where Jo Saeng displays his love for his daughter without bawling. He saw this endangered child and adopted her as his own and brought her into his family. He disguised her as a man to keep her safe and was committed to do whatever it took to continue to keep her safe. He never used her as a pawn or put her in danger unlike the other men in her life. While I did love the Yang Sung and the Night Scholar as a couple, the love that Jo Saeng had for his daughter was the most moving part of this drama for me. So that's why I chose him as best dad. What do you guys think? Wasn't he a fantastic dad? Are they any other great dads you can think of? Check out all of my 31 day challenge so far by clicking here. Hi friends! I'm finally back to continuing with the 31 Day Kdrama challenge. I was really hoping not to double up on the Kdramas I chose for this challenge, but I also wanted to be completely honest. So even though I've used Cheer up! before in this challenge, I had to use it again because in my mind there is no better Kdrama mom than Yeon Doo's mom, Sun Young. She is seriously the best mom on so many levels. To start off with, when she finds out that her daughter is being unfairly treated in school she storms into the teacher's office and chews them all out. Never have I seen teachers look more ashamed. She will not stand for them looking down on her daughter. Not only that but she gives the type of amazing advice to her daughter that everyone needs to hear. She trust her daughter no matter what and encourages her to follow her heart rather than doing what everyone else thinks is right. Let's not forget that Sun Young is willing to make the ultimate sacrifice for Yeon Doo by giving up any chances for a romance of her own when she finds out that her boyfriend is the husband of her daughter's boyfriend. Luckily Yeol makes it so that everyone gets a happy ending in this drama, but just the fact that she didn't have a second thought about putting her daughter first shows what a caring and truly attentive mom she was. So there's my pitch for Best Kdrama mom. Anyone agree? Any other great Kdrama moms you can think of? Follow along with my whole 31 day challenge as I complete it here. Hi friends! Sorry I'm so late to post this and am behind on the 31 day kdrama challenge. I've been out sick for the last week and haven't had the energy to do much at all. I'll get back to the 31 day challenge when I can and even if it takes me awhile I'll keep at it until I finish it. In the meanwhile let's talk episodes 13 & 14 of Moorim School as tomorrow is the finale and you need to get caught up if you're not already. These recaps will be very brief this week. So Episode 13 starts with Soon Deok, Shi woo, and Chi Ang still in shock over what the chairman told them. Seon Ah overhears them talking and they have to explain to her that they found out she was adopted. Needless to say she takes it pretty hard, even harder when there's a possibility that the dean killed her dad. Things aren't looking good for the dean either. They're about to shut down the school until he offers to leave. The meditation professor is nominated to take over his position and things are looking very bleak at Moorim. Most of the parents drag their kids away from the school including Soon Deok's dad. Shi Woo and the professors work to try to get them back by convincing the parents and the students alike. Seon Ah is too upset to even have a real conversation with the dean before he leaves. The Dean entrusts Shi Woo to give a picture of her biological parents to Seon Ah when Shi Woo realizes it's the same man that helped him with his hearing earlier and that Seon Ah's dad is alive. The new dean announces that he's making a lot of changes and the professors aren't happy, but they know that if they leave they'd be abandoning their kids and letting the real dean down. Things are still not good between Shi Woo and Chi Ang as Shi Woo's come to realize that Chi Ang's dad is trying to take the whole school down yet Chi Ang still seems to be on his side. Yet Chi Ang seems as torn as ever. Episode 14 begins with all of the students (apart from Soon Deok) returning to school. Some had to lie to their parents and some had to run away, but they all wanted to be back because to them Moorim is a family. The new dean has brought in a slough of evil professors to take over most of the classes. While the old professors haven't been kicked out, they've been assigned to beginner classes and aren't allowed to help the kids train like they one were. And these new professors are on a war path. They don't believe that they kids should be friends and they want them to train with real weapons. The old professors protest to the new dean, but he reminds them they can go along with it or they can leave and once again they have to think of the students. Shi Woo goes to visit Soon Deok who's still at her home and things between them are as hot as ever. He believes that she's his entire world at this point. The new dean confronts Seon Ah about the Chintamani, but she has no idea where it is and is frankly sick of people talking about it. Meanwhile Dean Hwang is on a search to find Seon Ah's brother, not realizing that the person he's looking for is the Shi Woo that he admires so dearly. And Seon Ah ad Shi Woo's biological dad, Yoon, finds out that Seon Ah is at the school and is his daughter. Shi Woo finally confronts Chi Ang and tells them that he's not going to retreat anymore. He's going to fight whoever is in his way to protect the ones he loves, essentially telling Chi Ang he'd better ship up or watch out. Chi Ang goes to see Soon Deok to say goodbye before he goes to China to confront his dad. So things are heating up and although I'm not going to recap or give any spoilers for episode 15 yet, I'll tell you it gets crazy. It's like 4 weeks of episode packed into one episode. If you haven't been watching now is the time to catch up and get ready for what hopefully will be spectacular finales. You can follow along with my recaps for the entire series so far here.